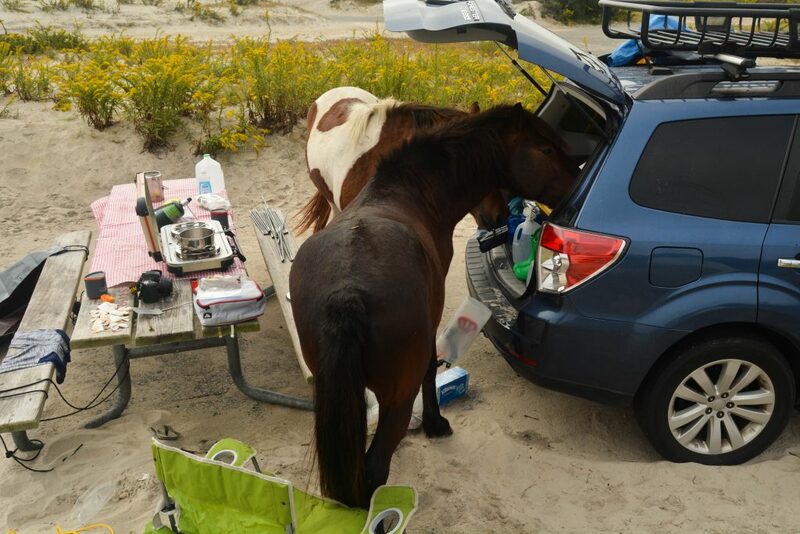 Since we moved to the DMV (DC, Maryland, Virginia) area several years ago, I’ve wanted to go camping at Assateague Island National Seashore, which is off the Maryland and Virginia coasts. It’s actually about 20 minutes south of Ocean City, Maryland. The island is known for its wild horses, and the book Misty of Chincoteague by Marguerite Henry is set there. Did you read the Misty book when you were a kid? I did, and I also read some of the sequels. I occasionally check the reservation website for open campsites, but the national park campground there is usually booked 6 months ahead of time, so it’s been difficult to get in. Well, about two weeks before the Columbus Day weekend, I just happened to browse the website and found an open campsite for that weekend! It had to have been a cancellation, so I immediately booked the site because I figured it may be my only chance to visit. There is a state park campground there too, but from the reviews I’ve read online, it’s not as nice as the national park. I, Little J, my sister in law, and one of my nephews ended up camping there together. We had an oceanside campsite. That means we actually camped in the sand right next to the beach. The ocean was just over a sand dune from our tent! There is also a bayside campground at the national park, but I just loved being on the beach. As soon as we drove off the bridge and onto the island, we saw wild horses! In fact, we did see wild horses every day that they were there, and they even roamed our campsite! That actually turned out to be a problem, so here’s a tip for you. If you see the wild horses sauntering over to your campsite, hide all of your food items in your car, or they will trash your campsite looking for the food. We learned that the hard way. We didn’t leave food out unattended; we were there, but the thing is, you’re not allowed to come within 10? –I think it was 10– feet of the horses, or you risk getting a fine. We were also warned that although they’re not afraid of humans, they are wild. They will kick, and they will bite. So that meant that when the horses walked into our campsite, we backed away from them; that’s all we could do. We just had to wait until they were finished investigating whatever they wanted and left. The horses are the alphas on Assateague Island! There are no hot showers on the island, just cold-water showers, which I think would be fine in the summer, maybe even refreshing. Also, the toilets are basically luxury porta potties. I wish I had taken photos. Next time we go there, I’ll take photos and share them in a post. They are a step up from your regular porta potties. They’re up on their own platforms, and they’re very large. There’s room for a stroller or wheelchair to fit inside. 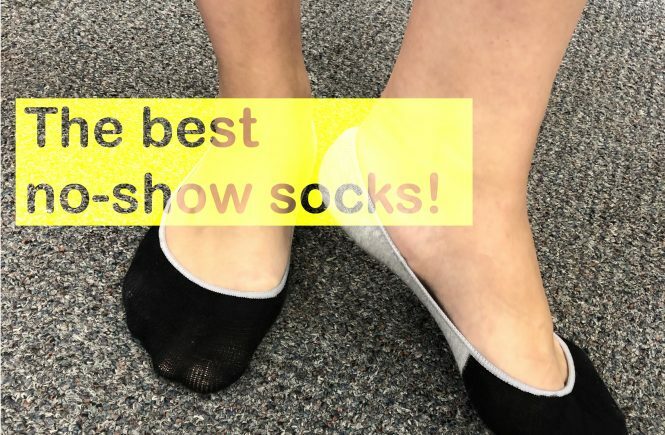 I thought they were fairly clean too. There are built in night lights, so you can still see inside them at night. 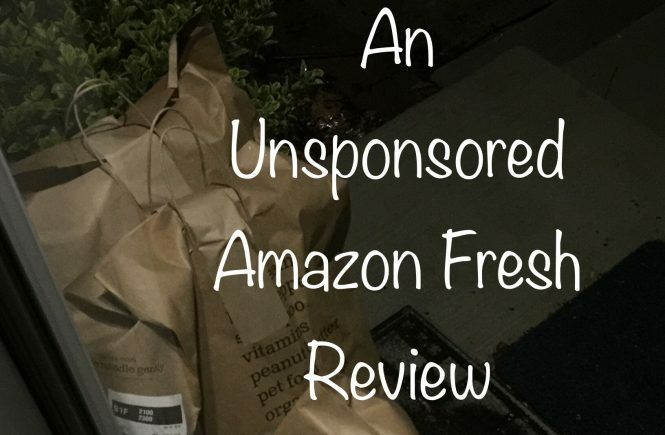 I read online reviews that the mosquitos were very bad on the island, so we packed a lot of bug spray, but we didn’t really see a lot of bugs. 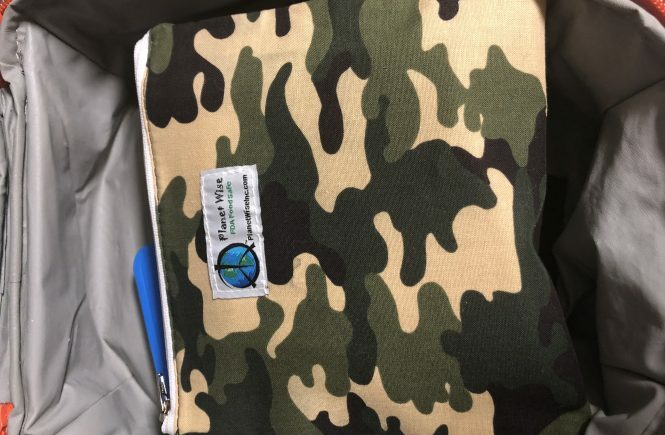 I think it was because we went camping in October, so if you’re camping in the summer, I would recommend you bring repellant just in case especially if you’re going to do any walking near the bayside where there’s a lot of brush and swampy conditions. I did get a few bites at our campsite on the last day. It had rained the night before, so I think that brought the bugs out. We also had sunblock for the sun since there’s very little shade on the island, especially at the oceanside campground. I think that’s a must for this campground. I have a gazebo with mosquito netting, but because of the wind, I didn’t try to put it up. So speaking of the wind, I recommend getting extra long stakes or utility stakes for your tent. They should be some kind of stakes that are appropriate for sand. I bought some screw-in utility stakes from Walmart, and they held the tent down even when it was storming. For our 6-person tent, I used 8 stakes. In spite of the horses trashing our site and my SIL’s car battery dying (yeah, that happened), I loved it. 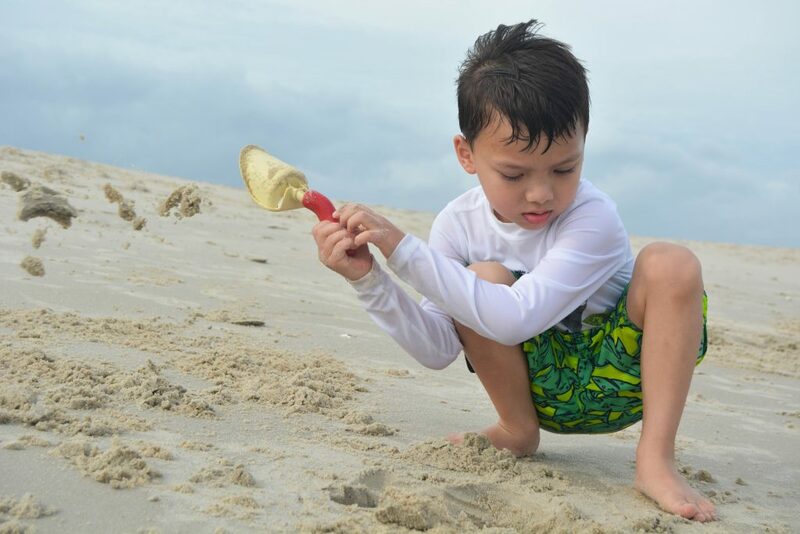 Little J and his cousin just played in the sand all day, digging and looking for sea shells, etc. It was awesome to have all of that available at our campsite. 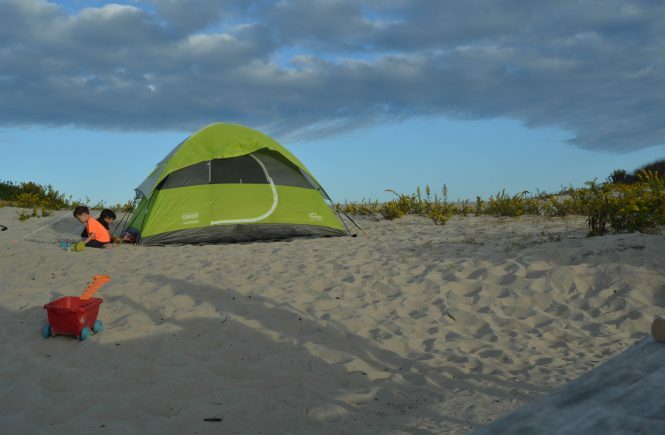 Shenandoah National Park is still my favorite place to camp, but I think Assateague Island National Seashore is my close second. 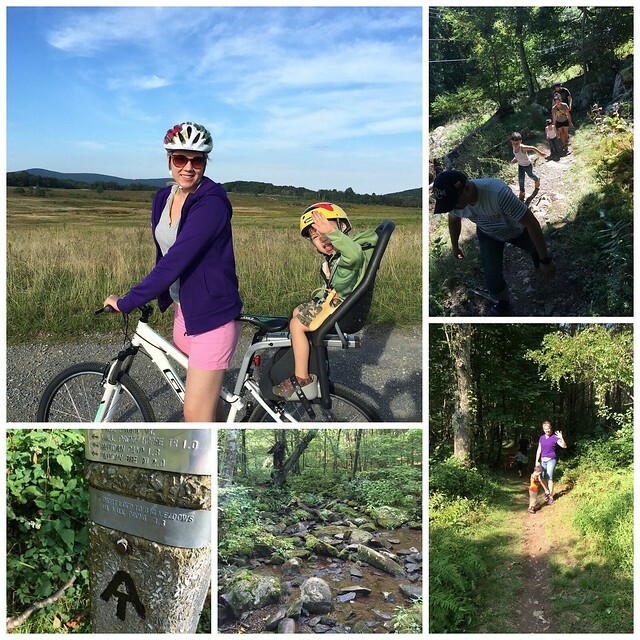 Like Shenandoah, there is an entrance fee into the park. At the time that we went, the entrance fee was $20 per vehicle for a one-week pass. The annual park pass (Assateague Island only) was $40. A national park pass for all parks is currently $80, but military families are able to get a free annual pass. All of the fees may change as there is currently a proposal to charge more for high-demand parks like Yellowstone, Shenandoah and Assateague beginning in 2018. Have you been to the National Seashore? 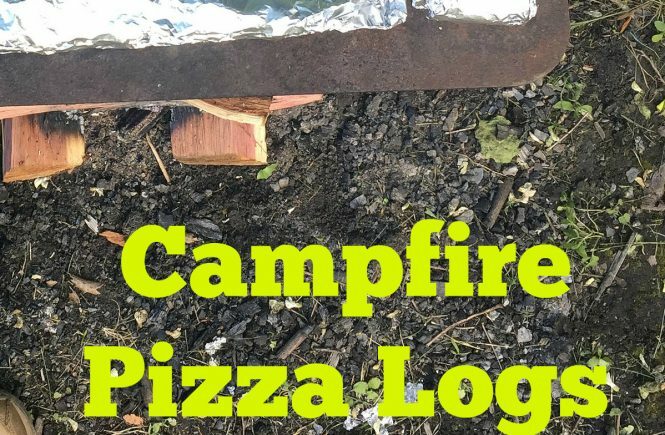 It’s almost Labor Day -a busy camping weekend- so I wanted to share one of my new favorite camping meals, a campfire pizza log! 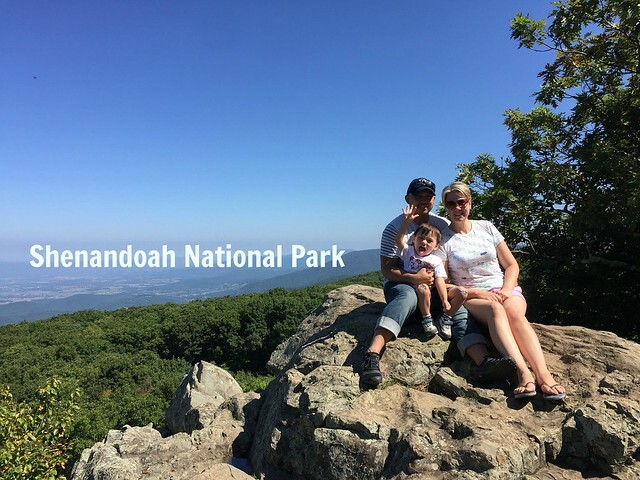 Over Memorial Day weekend, we went camping at our favorite place to travel to and camp at, Shenandoah National Park. This time we went with a co-worker of mine and his family. 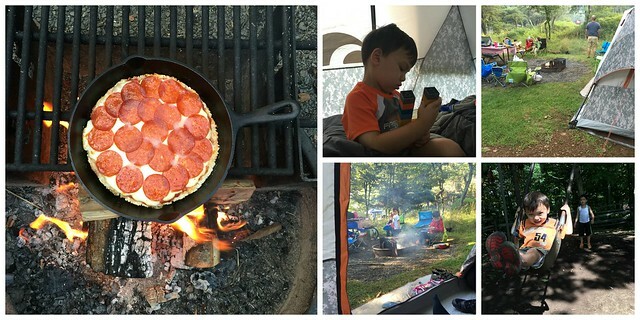 We decided ahead of time to share some meals, so I started researching online different yummy meals for camping. 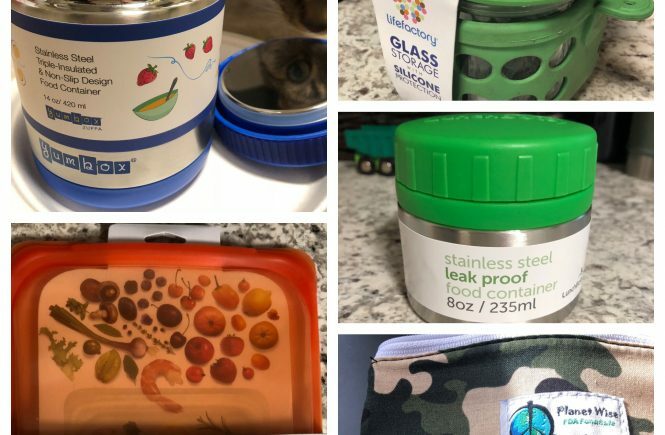 I wanted to up my game since I was cooking for people other than my family! 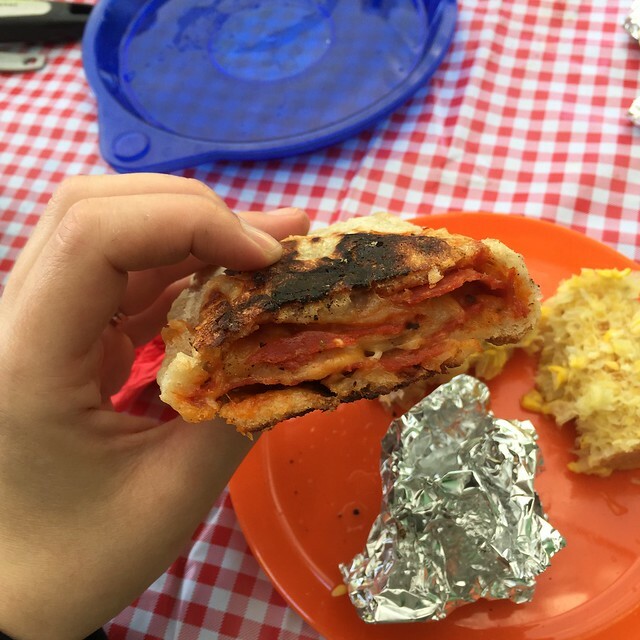 One meal I came across was the campfire pizza log, but I couldn’t find a site that gave step-by-step instructions. Without instructions, we had to wing it, and we definitely have some lessons learned, which I thought I’d share. The logs are pretty simple to prepare. I made three large pizza logs (three cans of the refrigerated pizza dough), which is what you’ll see in my photos; HOWEVER, because the larger logs didn’t cook evenly, I recommend doing smaller pizza logs, so two logs from each can. I’ve written the directions below to reflect what I will do next time. Cut two large pieces of nonstick foil. They should be large enough that you can completely wrap up the pizza logs. It’s better to cut them too big than too small. 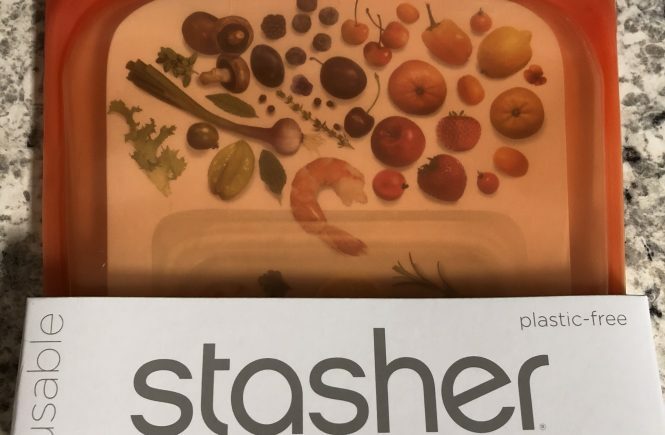 You can always trim off the excess with some kitchen shears or scissors! Have the nonstick side facing up off the counter (you’ll want the pizza logs on the nonstick side) and spray the nonstick with an olive oil spray or something similar. This will help keep the pizza log from sticking to the foil when you unwrap it after it’s been cooked. Before rolling out the pizza dough, cut the dough log in half. You’re going to make two smallish pizza logs from each can of dough. 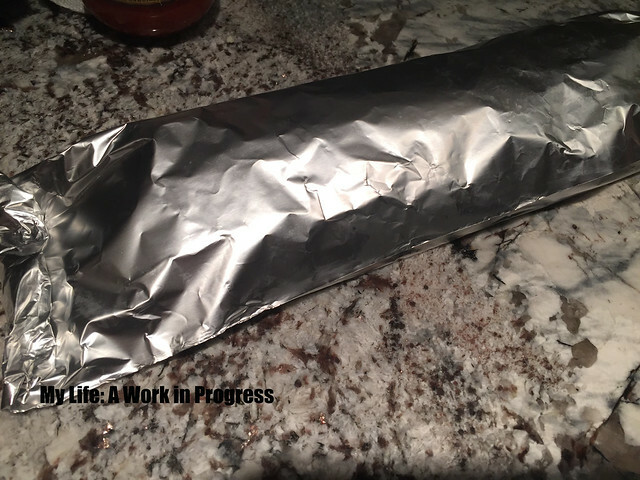 Place each piece of dough onto its own piece of foil. 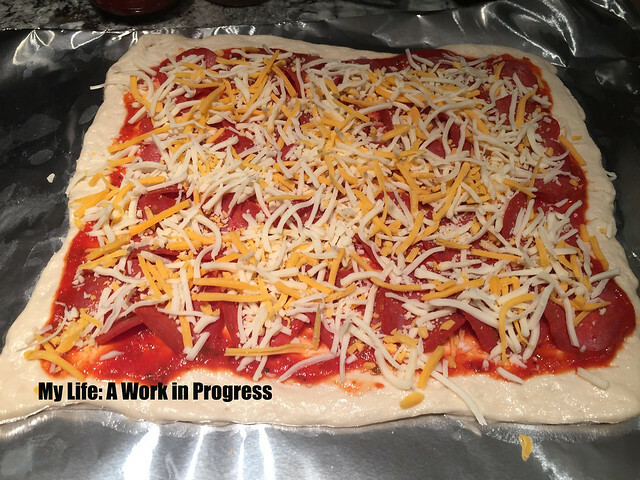 Roll out the pizza dough on the foil until each piece is in a rectangle. Spread the pizza sauce on top. 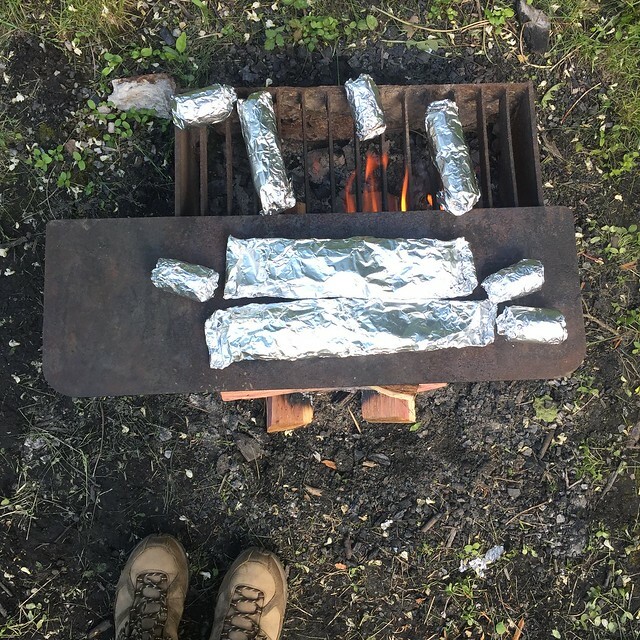 Fold the foil over top of the log and secure all the edges by rolling them in. I didn’t do it, but cut this in half! Make two pizza logs from this sucker. The smaller rolls to the left are pieces of corn on the cob. 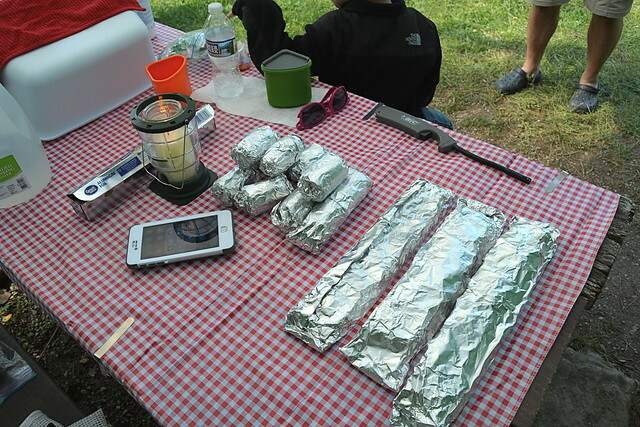 The three long rolls on the right are the campfire pizza logs. That’s it! I actually froze ours in the freezer since we didn’t intend on eating them the first day of camping. Once they were frozen, I wrapped them in plastic wrap and put them in our camping cooler with ice. I was hoping that as the ice melted, the plastic wrap would help keep any water out of the logs, and it did seem to work. The two longer rolls are the pizza logs. The small and medium rolls are corn on the cob. When it was time to cook the pizza logs, we got a nice fire going, and then we placed the pizza logs on the flat griddle above the fire. As I mentioned above, the pizza logs didn’t cook evenly. The logs were getting a nice char in the center within 20 minutes, but these larger logs that I made were so long that the edges were too far away from the fire and weren’t picking up heat. That’s why I suggest making two pizza logs from each can of refrigerated pizza dough. That will get you a more evenly cooked pizza log, and they should be done around 30 minutes. You can see that the center part of the pizza log is a little more cooked and charred than the edges. That’s why I recommend making smaller logs, so the edges can also reach the fire. The cooking time is going to vary depending on how hot your fire is and the proximity of the pizza log to the fire, so keep that in mind. You’ll want to peel back the foil about every 10 minutes to check the logs. 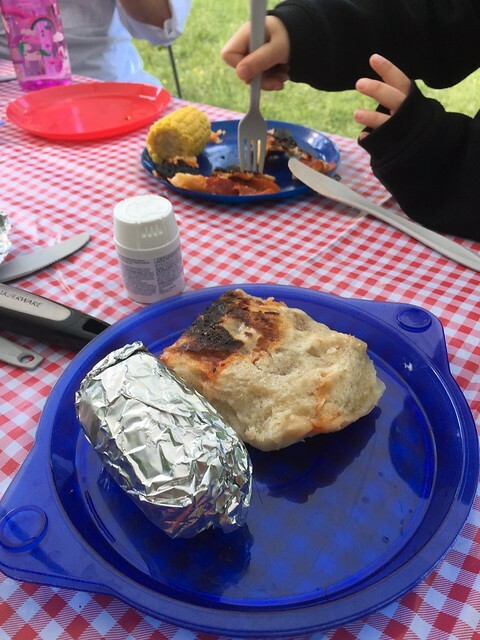 Use tongs to help you check safely, and if you wear fabric oven mitts … keep them away from the flames! The three cans of refrigerated pizza dough ended up making enough pizza logs to feed 4 adults and 3 small children with leftovers. I also served up some fire-grilled corn on the cob. 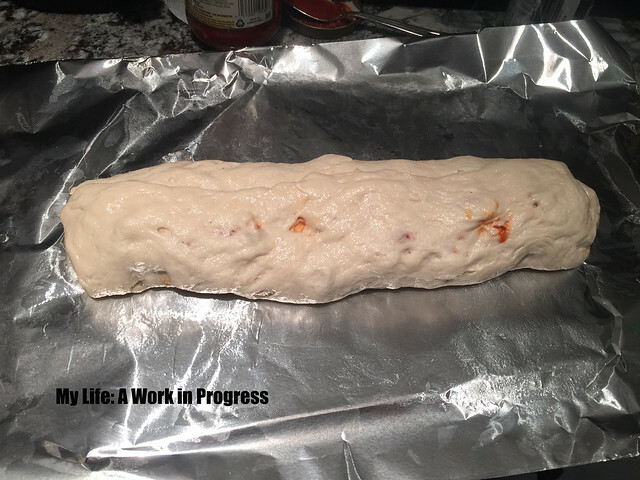 Have you ever made a pizza log? 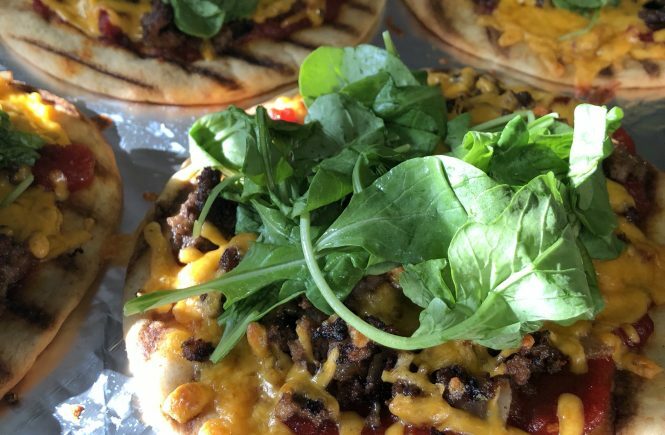 What is your favorite camping food?